Variscite is a relatively rare mineral which is often confused with Chrysoprase or Turquoise because of its colour ranging from pale to dark green depending on the chromium content. 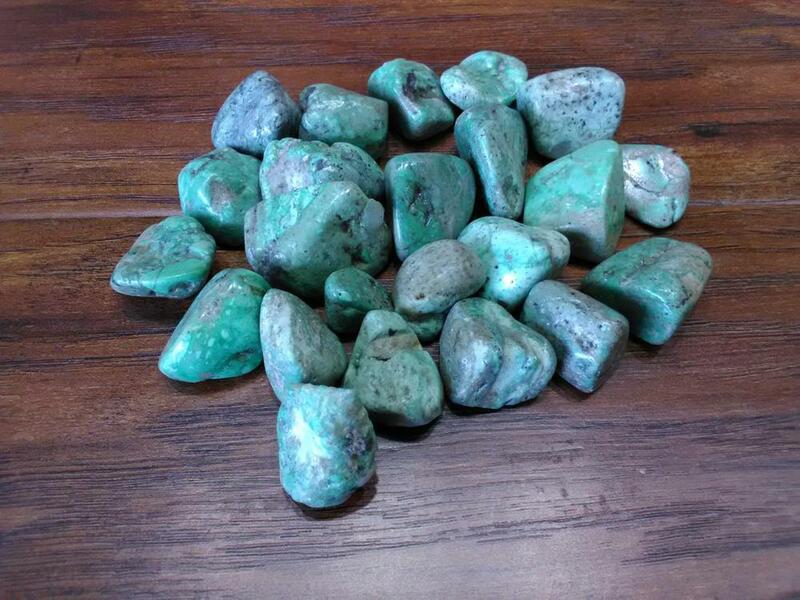 Variscite is a powerful heart activation stone, helping to release judgement and allows people and views to be united. It is used to enhance higher brain functions such as learning, logic and reasoning and to help in finding self acceptance. It can help us to remember past lives and is a good meditation stone because it helps to calm and centre the mind. Variscite also helps to release negative thinking and bad habits, bringing clarity to one’s thinking and tranquillity to one’s feelings to enable simple solutions to long standing problems to be found.